he has come back and is ready to continue work on the project. Which makes me very happy. What we are planning on doing is updating the game to the last version of Neo Axis. 3.5. We are going to try to update some of the engine as well. And get the entire game working completely. Then I am going to start making a storyline for the game. With a full background. I got some new idea. It won’t have any kind of voice acting. Unless we can find some voice actors to help us. For free. I won’t go into detail about the storyline we will be using. And it will come 2nd to getting the gameplay up and running. But I got some ideas here and there that I think will make the single player side of things fun hopefully. Remember though that this game is free. And we work on donations. And to help us get new assets for the game. Ect. We need Donations. And help of any other kind. If you want to help us you can donate to the project here. Donating to the project will really help us to get the things we need. If you can donate to the project. It will really really help us along. In many ways. Especially if you want to see the game continue in development. As always I will keep yall up to date on the development of the game. Either here when I got something big to tell everyone. Or on my twitter feed. Anyway thanks so much for keeping the game close to your hearts. I can’t wait to see fans come back and continue to support the game. I really hope this news makes everyone happy! This is the Physics update for the game. This will update the physics and stop all the jitteryness of the game on the terrain. This patch fixes problems with the 160 patch. Download this patch after you install the 160 patch. This is the 3.3.2.160 patch. Please make sure you download the Hotfix patch first! Howdy, yall come and check out my new store on my site. Here is the link. Assaultknights.biz It is a 3D model store. With maps. Buildings, Soon to have mechs. And all kinds of 3D models. All for just $5.00 each. Which if I get alot of sells for. I might just keep everything 5 dollars forever. What are the controls? How to get a mech once in a level? how to add AI enemies? Sorry, it took so long to reply. When you enter a map. You need to walk up to one of the buildings. Hangars. And press the B button to bring up the spawn menu. Select a unit. (Make sure to purchase a unit from the main menu buy window.) And then click spawn and it will do so. Hope that helps. lol, I was wondering how you do the rating for the game. Did not know I had to put it on early access. The game is released. Yall can download it. Now that the rating is up. Please rate the game. Let me know how yall like it! Thank You very much for the kind words. NightHawk and I have worked on AK for a long time. and we will keep working on it. we are hoping to have some nice surprises very soon. Thank you so much for your kind words. Though if you want the best and newest version you should grab my version here. It is the most up to date version of this game. And please feel free to join our forums! Come check out my site. For Assault Knights: Reign of steel. 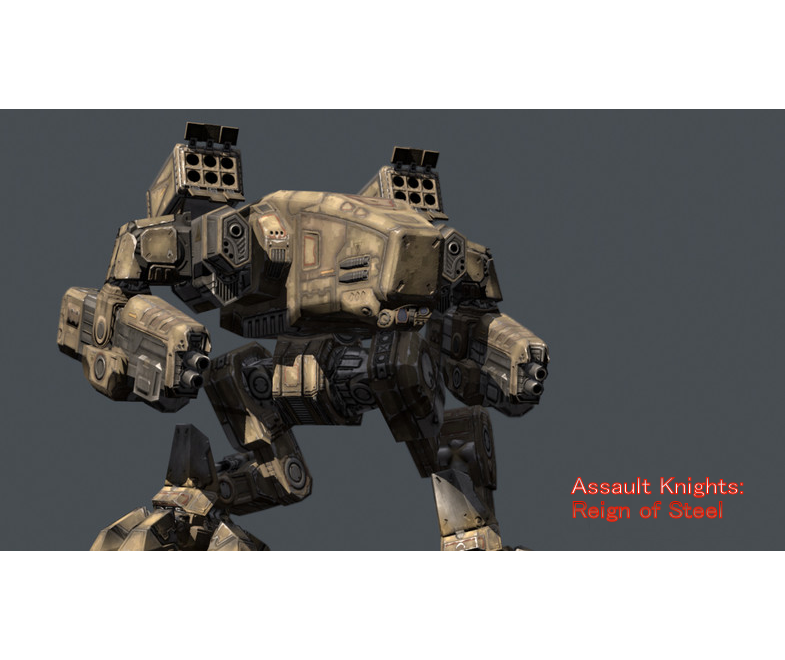 Assault Knights has been in development for many years on the Neo Axis game engine. We are currently trying to get a community for the game started back up. The game is free for anyone. Here is the link to the game itself. We just ask if you like the game. And want to help us make it grow please donate to the project. Or become a Patreon here!